Posted by rogerhollander in Capitalism, Trade Agreements. Roger’s note: Here are two articles that lay out what is at stake with respect to the three so-called trade agreements (TTP, TTIP, TISA). This is pretty frightening stuff. Keep in mind that a central definition of fascism is when corporations and governments are indistinguishable. November 09, 2015 “Information Clearing House” – “Truthdig“ – The release Thursday of the 5,544-page text of the Trans-Pacific Partnership—a trade and investment agreement involving 12 countries comprising nearly 40 percent of global output—confirms what even its most apocalyptic critics feared. Chris Hedges, previously spent nearly two decades as a foreign correspondent in Central America, the Middle East, Africa and the Balkans. He has reported from more than 50 countries and has worked for The Christian Science Monitor, National Public Radio, The Dallas Morning News and The New York Times, for which he was a foreign correspondent for 15 years. November 09, 2015 “Information Clearing House” – The re-enserfment of Western peoples is taking place on several levels. One about which I have been writing for more than a decade comes from the offshoring of jobs. Americans, for example, have a shrinking participation in the production of the goods and services that are marketed to them. The corporations are buying power cheaply. They bought the entire US House of Representatives for just under $200 million. This is what the the corporations paid Congress to go along with “Fast Track,” which permits the corporations’ agent, the US Trade Representative, to negotiate in secret without congressional input or oversight. Posted by rogerhollander in Energy, Environment. Margot Kidder became Hollywood’s most famous Canadian by playing Lois Lane in four Superman movies. Actor Christopher Reeve, as Superman, and Margot Kidder, as Lois Lane, appear in a scene from the 1978 movie ‘Superman. But later, when she was orchestrating a comeback after a series of disasters, she took on a gig doing the voice of a character named Earth Mother in the cartoon show Captain Planet. Next week Kidder will be playing Earth Mother for real — doing whatever it takes to get herself arrested in front of the White House while trying to persuade Barack Obama not to sign a deal allowing a new pipeline carrying oil from the Alberta tar sands to Texas. One of her partners in crime is another celebrated Canadian-born actress and dear old friend, Tantoo Cardinal, an Aboriginal from northern Alberta. Theirs will be only two faces among the thousands taking part in a large-scale protest, but they will bring a bit of showbiz glitter to the event while showing there are Canadians as well as Americans appalled by the horrifying danger of spreading poison from Alberta all over North America. These days, at 62, Kidder works occasionally, doing such acting gigs as her appearance a year ago at Toronto’s Panasonic Theater in Nora Ephron’s Love, Loss and What I Wore. But most of the time, she lives quietly, simply and happily in Montana, close to her daughter and grandchildren. Being at the center of the Hollywood circus may be a distant memory, but Kidder still has the ebullient spirit, charmingly goofy smile and twangy voice that made her a popular favorite. And she’s still the fearless adventurer and reckless maverick who was born in Yellowknife and grew up in northern mining camps, the daughter of a rambunctious mining engineer from Texas known as Happy Kidder. That has not changed. Though she has been a U.S. resident for decades, Kidder has proudly held onto her Canadian citizenship. But she became a dual citizen so that she could vote against George W. Bush in 2004 — and so she could take part in protests against the Iraq war without being at risk of deportation. “Tantoo and I are both northern Canadian babies who believe that the North is a beautiful place worth saving. There is already one pipeline running from Alberta to Texas, and there have been disturbing leaks. According to Kidder, the proposed new pipeline would destroy the freshwater rivers and other natural wonders of Montana, because it’s bound to leak. 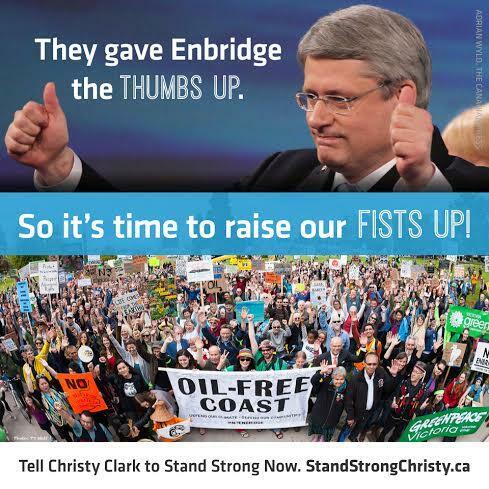 So why are political leaders in Ottawa and Washington in favour of expanding the tar sands? Kidder and other demonstrators hope to persuade Obama to stand up to the oil companies and refuse to sign the pipeline deal. In the process of making the point, she expects to land in a Washington jail, if only briefly. The Canadian government has been accused of an “unprecedented” lobbying effort involving 110 meetings in less than two years in Britain and Europe in a bid to derail new fuel legislation that could hit exports from its tar sands. The allegation comes from Friends of the Earth Europe (FoEE), which claims Ottawa ministers have attempted to mislead European decision-makers by underplaying the carbon-heavy nature of their crude in assessing new petrol standards. Canada is worried that proposed European legislation would penalise imports of oil derived from its tar sands and so restrict access to the European market for Canadian oil. This might in turn embolden US legislators to do similar. To prevent this, FoEE says that Ottawa has been conducting an intensive lobbying campaign aimed at preventing the British government and the European commission from watering down the legislation. “The Canadian government must disclose the genuine GHG [greenhouse gas] footprint of tar sands and stop making false promises. It should take serious measures to address the negative nature of tar sands,” recommends FoEE in a new report entitled Canada’s dirty lobby diary – undermining the EU fuel quality directive. The lobbying effort, which includes dozens of meetings between Canadian and British government “representatives” and oil executives, was triggered by the release of a consultation document in July 2009 by the European commission, which attempted to definitively assess the “well-to-wheels” carbon intensity of different oils. The document attributed a “default” carbon value for traditional fuels of 85.8g of carbon dioxide per mega joule of energy for traditional oil and 107gCO2/MJ for fuel derived from tar sands. The Canadians have managed to delay the EU’s original deadline of January 2011 for confirming baseline default values despite new peer-reviewed studies to support the European position. “The Canadians are asking for further research and further delays. This tactic is reminiscent of the tobacco industry in its attempt to delay action on health,” said the FoEE report. Relatively little fuel from the Alberta tar sands currently ends up in Britain or on the continent, but the Canadians have made clear their real concern is that European legislation will encourage the US to take a tougher line. A pan-European oil sands advocacy plan was established by the Canadian Department of Foreign Affairs and International Trade last year. The main aims were to protect and advance Canadian interests in Europe and to ensure “non-discriminatory market access for oil sands-derived products”, according to documents seen by FoEE. 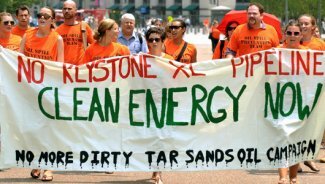 The Canadians are also said to have set up a special lobbying team in London and identified Shell and BP – two big tar sands investors – as “like-minded allies” in the struggle to have tar sands accepted. Shell’s chief executive, Peter Voser, made clear last week at the company’s half yearly financial results that tar sands was one of the key areas of the business that was delivering production growth – both now and more in future. BP has also made no secret of its determination to pursue its interests in Alberta. But FoEE is angry because it believes the Canadians are deliberately marketing tar sands as an environmentally friendly product by making references to initiatives – such as carbon capture and storage – to reduce the CO2 emissions. During the Gulf of Mexico oil spill, the Canadian government spoke out about the safer operations in Alberta while the country’s democratic credentials have been compared with less savoury regimes where oil is extracted, argues FoEE. The Canadian government was contacted by the Guardian but did not comment. Barely a day goes by it seems when someone from Stephen Harper‘s government is not touting the benefits of the Alberta tar sands. Emissions from tar sands mining, such as this pit in Alberta, were left out of Canada’s carbon emissions reporting. (Photograph: Jiri Rezac/eyevine) But when it came to counting up the carbon emissions produced by the tar sands – big and growing bigger – a strange amnesia seems to have taken hold. The Canadian government admitted this week that it deliberately left out data indicating a 20% rise in emissions from the Alberta tar sands when it submitted its annual inventory to the United Nations. The deliberate exclusion does not amount to an attempt to deceive the UN about Canada‘s total emissions. Emissions from the tar sands were incorporated in the overall tally in the report. But it does suggest that the government is anxious to obscure the source of its fastest-growing source of climate pollution: the Alberta tar sands. Greenhouse gases from the tar sands grew by 21% in the last year reported, despite the economic receission. Even more troubling, the tar sands is becoming even more carbon intensive, with emissions per barrel of oil rising 14.5% in 2009. And overall production is set to triple by 2020, according to some projections. So that’s an increasingly significant share of Canada’s greenhouse gas emissions – 6.5% now and rising. “It is not as if they were left out of the total, but no matter where you looked in the report you couldn’t find out what sector the emissions were from,” said Clare Demerse, director of climate change at the Pembina Institute, an environmental think tank. Environment Canada told reporters it was just fulfilling UNFCC reporting requirements. International image. The tar sands are becoming increasingly high profile and are a growing source of embarrassment to Canada in the international arena. No matter how popular the industry in Harper’s native Alberta, it is probably not pleasant being called a climate villain or a carbon bully several times a year at Bonn and the other fixtures of the UN climate change negotiations. Timing. The government may have been concerned about jeopardising an important pipeline deal. Canadian firms are awaiting final approval from the State Department for a pipeline that would carry up to barrels of a oil a day from Alberta to the refineries of Texas. Opposition from landowners along the 1,700-mile route has already delayed the project til later this year. Last week, a group of legislators from Nebraska asked Hillary Clinton, who has final say, to delay a decision until 2012 to give them time to put environmental safeguards in place. Members of Congress are said to be preparing a similar protest letter. The PR consultant told them to. Mike De Souza, the same reporter who broke the story on the GHG reporting, has written another story suggesting that the Canadian government last year considered hiring a PR firm to help promote the tar sands. It also weighed the benefits of tar sands tourism: paid-for trips for European journalists and elected officials. “Consideration should be given to hiring a professional PR firm to help the Pan European Oil Sands Team further develop and implement a serious public advocacy strategy,” the report was quoted as saying. That’s my current favourite theory. The provincial and federal governments have made an enormous effort to lobby US officials on the tar sands. So what’s the big deal then in burying a little factoid or two even deeper in a 567-page technical report to a bunch of UN bureaucrats? Except of course that those kind of dodges reek strongly of the faith-based/anti-reality views of the George Bush presidency, when political considerations repeatedly took precedence over evidence-based standards. “It’s a consistent pattern that we have seen on the part of the Harper government to really attempt to spin the tar sands,” said Andrea Harden-Donahue, energy campaigner at the Council of Canadians, the country’s biggest citizens’ group. These claims have included assertions that the science of climate change has been completely “debunked” and that there is no evidence of human causation of recent observed warming. There are numerous lines of evidence that point to human causation even if it is not a completely settled matter. Reasonable scepticism cannot claim that there is no evidence of causation and some other claims frequently being made by the well-financed climate change disinformation campaign, and they amount to an utter distortion of a body of evidence that the world needs to understand to protect itself from huge potential harms. On 21 October, 2010, John Broder of the New York Times, reported that “the fossil fuel industries have for decades waged a concerted campaign to raise doubts about the science of global warming and to undermine policies devised to address it”. As long as there is any chance that climate change could create this type of destruction, even assuming, for the sake of argument, that these dangers are not yet fully proven, disinformation about the state of climate change science is extraordinarily morally reprehensible if it leads to non-action in reducing climate change’s threat. In fact, how to deal with uncertainty in climate change science is an ethical issue, not only a scientific matter, because the consequences of delay could be so severe and the poorest people in the world as some of the most vulnerable. Donald Brown is associate professor in environmental ethics, science and law at Penn State University. The full version of this article was first published on the Penn State website. Californians decisively rejected a measure to roll back the state’s landmark climate change law yesterday, the sole win for environmentalists on a night that crushed Barack Obama‘s green agenda.With that lone victory in California, environmentalists managed to keep alive a model for action on climate change, preserving a 2006 law that had set ambitious targets for greenhouse gas reductions and had attracted tens of millions in clean-tech investment. But many new members of Congress are at best sceptical on climate change, and Republican promises to reduce the role of government could spell the end for progressive energy legislation and could herald a new era of environmental deregulation. In California though, there was celebration at the overwhelming defeat of Proposition 23 by a broad climate change coalition that ranged from the outgoing Republican governor, Arnold Schwarzenegger, Silicon Valley executives and venture capitalists to environmental groups. With 95% of precincts reporting, some 61% of Californians voted against a measure brought by Texas oil refiners, Tesoro and Valero, and the oil billionaire Koch brothers that would indefinitely halt a 2006 law mandating ambitious cuts in greenhouse gas emissions. “We are beating Texas again,” Schwarzenegger told supporters at an election night party. It was the first time voters had been asked directly for a verdict on a climate and energy plan. Had the ballot measure passed, it would have scuppered the chances of other states following California’s lead. But it was an expensive win, with opponents of Proposition 23 spending $31m to assure its defeat. The oil companies put up more than $10. And the coalition, with their intense focus on Proposition 23, failed to anticipate its evil twin: Proposition 26, which will also hinder action on climate change. The measure, backed by Chevron, requires a two-thirds majority before imposing new taxes or fees. It gathered 54% support, blocking government efforts to get industry to pay for pollution. In Washington, there was only devastation. 2010 is shaping up to be one of the warmest years on record, but that is unlikely to weigh heavily on the minds of many of the Republican newcomers to Congress. Obama in interviews on the evening of the elections, admitted there was no change of sweeping climate and energy legislation in the remaining two years of his term. He said he hoped to find compromise on “bite-sized” measures, such as encouraging energy efficiency or the use of wind and solar power. A cap-and-trade system for carbon emissions was the sleeper issue in the mid-term elections, a galvanising force for Tea Party activists. It saw the defeat of a handful of Democrats from conservative states who voted for last year’s climate change bill – such as Tom Perriello and Richard Boucher, in Virginia. It also installed a heavy contingent of conservatives hostile to the very notion of global warming in Congress – and solidified the opposition of establishment figures to co-operation with Democrats on energy legislation. The new speaker of the House, John Boehner, once said: “The idea that carbon dioxide is a carcinogen that is harmful to our environment is almost comical.” Vicky Hartzler, who took out the 34-year veteran Ike Skelton in Missouri, has called global warming a hoax. A number of the victorious Tea Party candidates in the Senate, including Rand Paul of Kentucky and Marco Rubio of Florida have said they do not believe in man-made climate change. Some of the surviving Democrats are just as opposed. Joe Manchin won his Senate seat in West Virginia by, literally, shooting his rifle at Obama’s climate agenda. In her election night stint as a Fox news commentator, Sarah Palin singled out the Environmental Protection Agency as an example of big and wasteful government. The Republican leadership has signalled they it is opposed to a whole array of EPA regulations, including those on ozone and mercury. The EPA is seen as a fallback route for the Obama administration to deal with the regulation of greenhouse gases after the US senate dropped its climate bill in the summer.